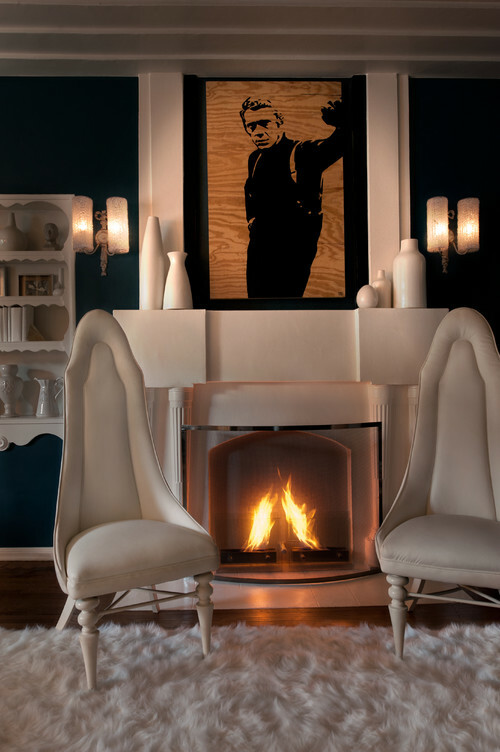 Tip #1: Use real art, not a mirror, over the fireplace. This will provide depth and character. Tip # 3 Bigger is better, but don’t exceed the width of the mantel. Tip #6 Handcrafted vases, antique vases, bronzes, antique tapestry hangings, are all good possibilities. Take a look around your house for others. Look for pieces with presence to accessorize. Tip #7 This is your main focal point in the room. Make it count. Tip #8 No framed family photographs. Find other accessories for a more current overall look. Tip #9 Remember that you must balance the large dark hole of the firebox. Think deep and rich, not dainty, for the over mantel décor. Tip #10 Use a portrait light (not shown). (1) Use real art, not a mirror. (2) Bigger is better, but don’t exceed the width of the mantel. (3) This is your main focal point in the room. Make it count. (5) No framed family photographs. (6) Handcrafted vases, antique vases, bronzes, antique tapestry hangings, are all good possibilities. Take a look around your house for others. Look for pieces with presence to accessorize. If you have a collection, this may be a good place to incorporate it with a complementary piece of art overhead. (7) Remember that you must balance the large dark hole of the firebox. Think deep and rich, not dainty, for the over mantel décor. (8) Select art with a color palette that looks good with the rest of the room. (9) Use a portrait light over an oil painting. (10) Add a pair of sconces. This entry was posted on June 23, 2012 by Ellen at Color Calling. It was filed under Art, bronze, fireplace, Residential styling and was tagged with accessories, art, collections, fireplace, mantels. Thank you for the comment, Carol Anne! Some wonderful tips, Ellen. 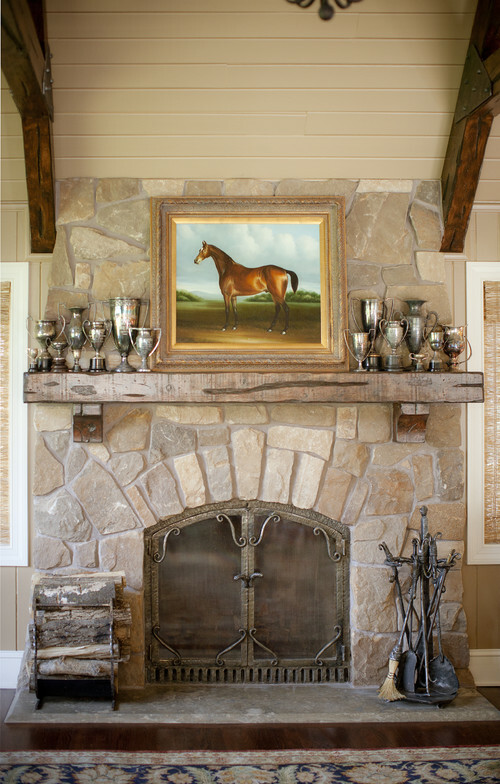 I’m not a big fan of mantle clutter and often advise clients to remove everything from the mantle entirely, so the eye goes to the art. I also prefer an oversized piece of art propped for a more casual feel. Thanks for a great post! Thank you for your very kind comment, Andrea!